D. Brian Burghart, head of Fatal Encounters, estimates that his organization’s collection of reports from the public, media, and FBI only captures about 35 percent of total police killings. This means that it’s hard to gauge, based on this incomplete data set alone, whether these types of killings are becoming more common. Still the data that do exist speak volumes. Here’s one way to get a sense of the scale of the violence. In the same period (actually, 2001- April, 2015) US deaths-in-action in Iraq and Afghanistan total 5374. Saddam and his army, the Taliban, ISIL and all the rest have killed, at a minimum, ~two hundred fewer Americans than our domestic police. 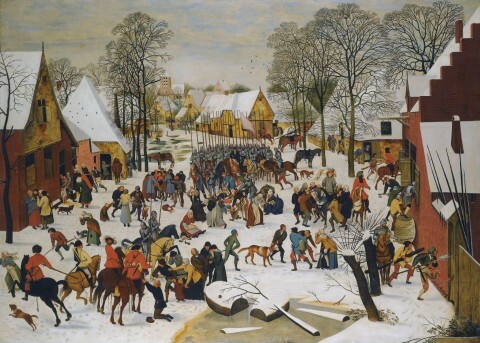 Image: Pieter Breughel the Younger, The Massacre of the Innocents, c. 1605-1610.